The number of Utahns who want President Barack Obama to create a 1.9 million-acre national park at Bears Ears has doubled in just over a month, a new UtahPolicy poll shows. However, by far most Utahns still don’t want Obama to create such a park in southeastern Utah before he leaves office at the first of the year, finds UPD pollster Dan Jones & Associates. 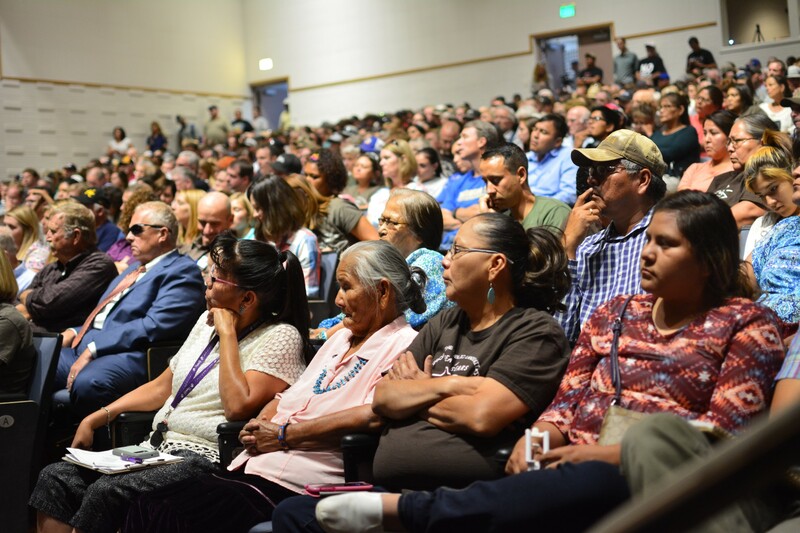 The new survey finds that 33 percent of Utahns want a new national monument to protect the rugged landscapes and Native American artifacts on a high mesa in San Juan County. Sixty percent oppose designating a federal monument. And 8 percent don’t know. Previously reported UPD polls on the subject have found 17 and 19 percent favor it. So the supporters have about doubled in recent months. It appears that an effort by Utah Reps. Rob Bishop and Jason Chaffetz, both R-Utah, to swap out millions of acres of federal lands with state and local lands will fail in this session of Congress. That bill – called the Public Lands Initiative – is supported by Utah’s GOP leaders and legislators, but opposed by most Democrats. Native American groups are split, and the issue has estranged various native peoples and tribes. The PLI would create a much smaller protection area around the Bears Ears Mesa and give locals some control over land use. — Only 12 percent of Utah Republicans want Obama to create a national park. — 81 percent of Republicans oppose the president doing so. — Democrats are just the opposite, they support an Obama national park, 81-9 percent. — Political independents, who don’t belong to any political party, and split, 54 percent opposed to an Obama park designation, 39 percent in favor. The 2010 GOP-controlled Utah Legislature redrew our four U.S. House districts with an eye towards getting a majority of Republicans in each, although the 4th District (made up of the west side of Salt Lake and Utah counties) is the more evenly-distributed by partisanship. Jones finds that District 4 residents oppose the Obama park, 56-38 percent. Southeastern Utah is in the 3rd District, whose heart is conservative Utah County. In the 3rd District (Chaffetz’s district), citizens oppose the Obama park, 64-30 percent. There is an interesting age difference over Bears Ears. Jones finds that those who are 18-24 years old are split over the idea, 36 percent favor such a national park, 38 percent oppose, and 26 percent don’t know. There’s no such waffling among Utahns senior citizens, those over 65 years old oppose, 66-29 percent, an Obama national park at Bears Ears. Jones polled 818 likely voters from Oct. 12-20. The survey has a margin of error of plus or minus 3.43 percent. What’s behind flaring land disputes in the West?